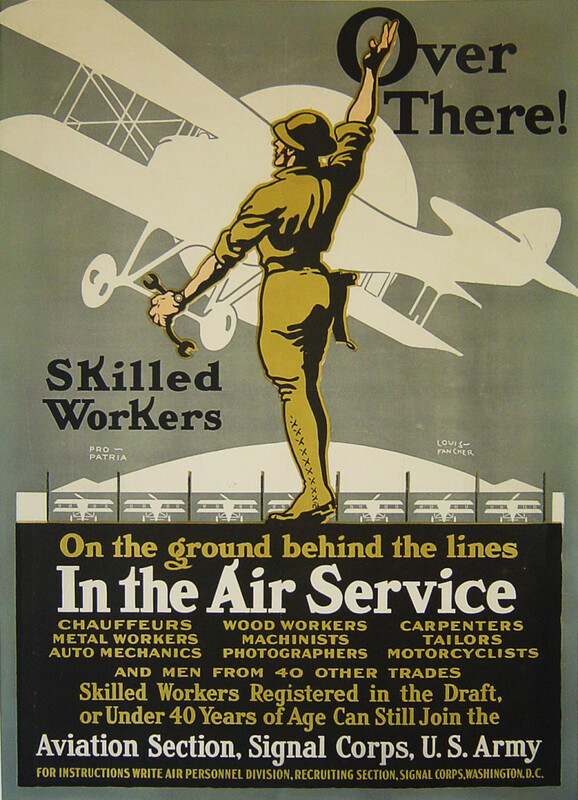 A scarce Air Service poster from the first world war depicting a bi plane and skilled worker. Fancher did illustrations for Packard auto and other military posters. This original poster is linen backed and in fine condition.